The UN Security Council convened on Thursday to discuss the report on the activity of UNMIK for the past three months in Kosovo. 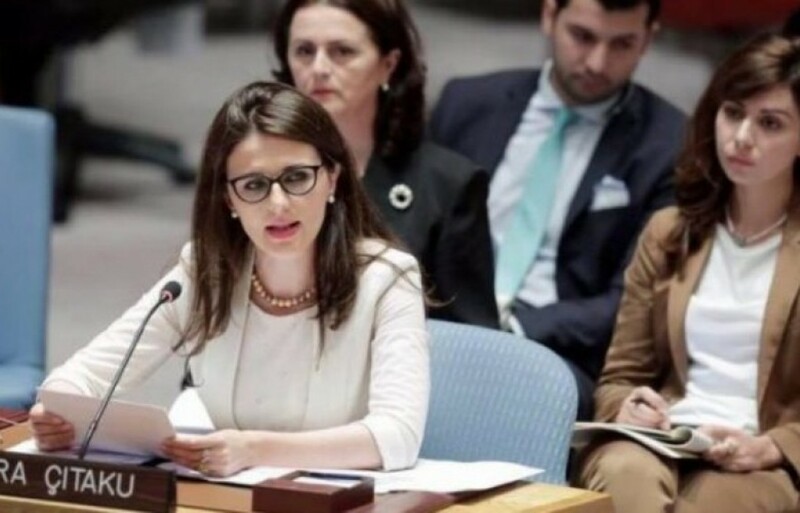 Kosovo’s ambassador to the US, Vlora Çitaku said that these sessions on Kosovo are unnecessary, because according to her, UNMIK no longer plays a role or has a mandate in Kosovo. She said that these sessions are being misused by Serbia, who is claiming things that nobody believes. Kosovo’s ambassador to the US said that her country proclaimed independence 11 years ago and that it will never negotiate its independence with Serbia. “We are ready to built constructive relations as neighbouring countries and as equals, but this is where the problem lies, Serbia is unable to accept Kosovo’s independence”, Çitaku said. Ambassador Çitaku said that the decision of the government of Kosovo to slap tariffs on Serbian imports came in response to Serbia’s aggressive campaign against Kosovo. According to her, Serbia is using this to condition dialogue. The US representative at the Security Council, Jonathan Cohen said that it’s possible for Kosovo and Serbia to achieve an agreement this year. “Time has come for the two countries to achieve an agreement. For Kosovo, this means scrapping the tariffs imposed on Serbia and Bosnia and Herzegovina”, he said. UK’s ambassador to the US, Karen Pierce said that Kosovo is not a country in conflict and that it’s advancing in its EU integration path. “There are more important issues, but I would take this opportunity to invite Serbian and Kosovar leaders to solve their problems and move forward. The UK maintains that it’s within Kosovo’s rights as an independent country to form its own army”, Pierce said. Meanwhile, Serbia’s Foreign Minister, Ivica Dacic focused on the trade barriers that Kosovo has imposed on Serbian goods.